Leisure property specialists Davis Coffer Lyons has – on behalf of Hurtmore Holdings Ltd – completed the leasehold letting of the former Bel & The Dragon restaurant in Godalming, Surrey to The Cotswold Company. 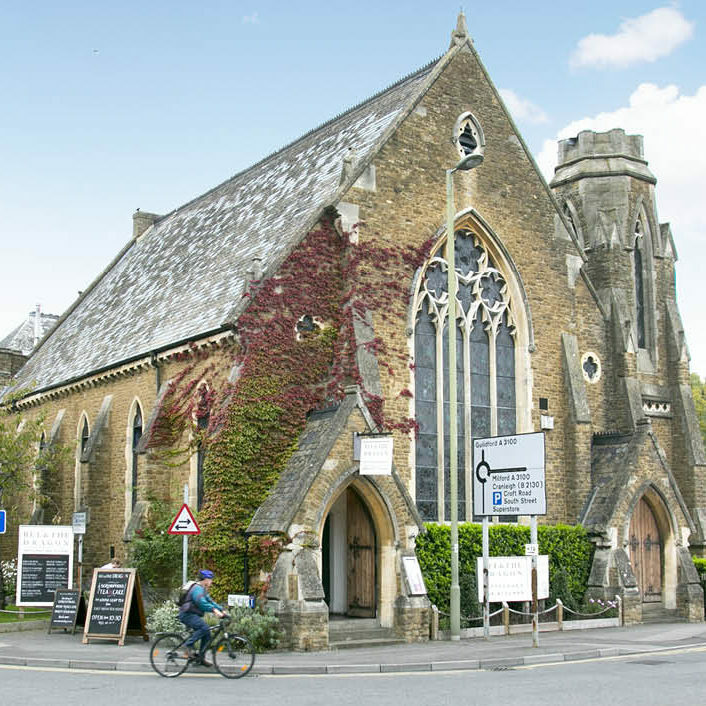 The beautifully restored Grade II Listed 19th century congregational church occupies a prime location in the centre of the picturesque market town. It boasts 6,685 sq ft over ground and first floors which makes full use of the high and ornate vaulted ceiling as well as having an array of features including stained glass windows. The letting also included The Rotunda which adjoins the former Bel and Dragon to the rear. The Rotunda was built in circa 1879 designed specifically for use as a school. The inclusion of this building provides an additional 2,500sq ft of retail space. The Cotswold Company sells a range of hand-crafted oak, pine and painted furniture created using traditional cabinet-making techniques. This is the company’s fourth site – joining its current showrooms in Norwich, Stow-on-the-Wold and most recently an 8,000 sq ft showroom in the new Bond Street shopping centre in Chelmsford in February this year – and it is now looking for further sites throughout the UK. Helen Beebe, Commercial Director at The Cotswold Company said: “We have a strategy to open 2-3 showrooms a year over the next 3 years to support the continued growth of our omni-channel proposition. Critical to the success of our future showrooms are the position within a town or city, the local customer demographic, the surrounding retailers and the size & configuration of a property, and the Bel and Dragon combined with the Rotunda is perfect for us in all these respects. The size of the two combined properties is key as it will enable us to showcase a comprehensive selection of our furniture and accessories. Tom Keys-Toyer of SiteWorks Retail acted on behalf of The Cotswold Company.